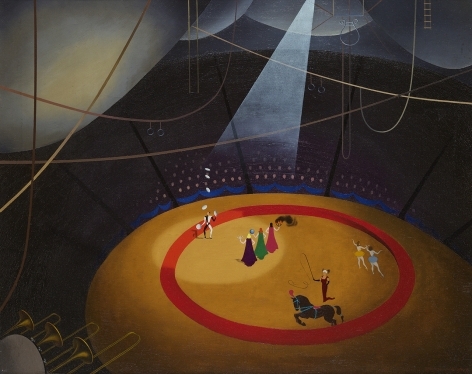 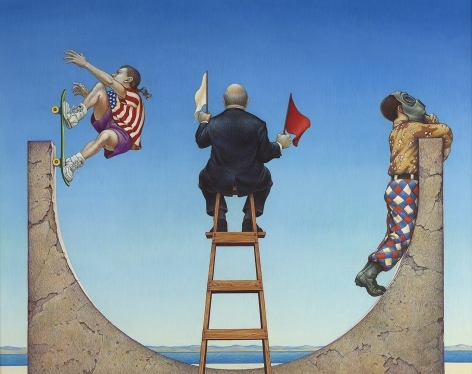 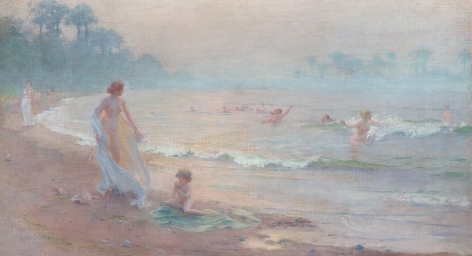 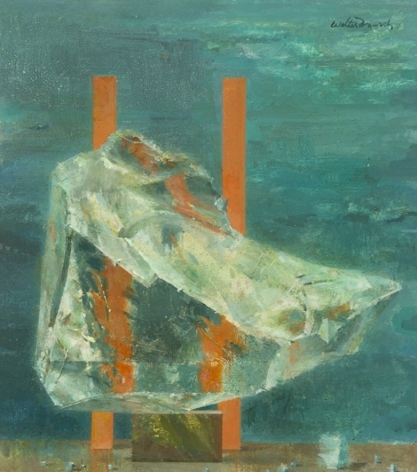 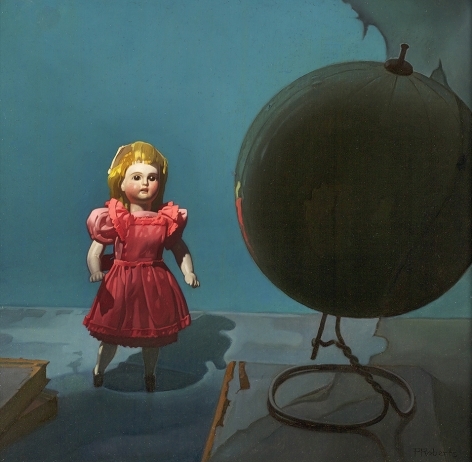 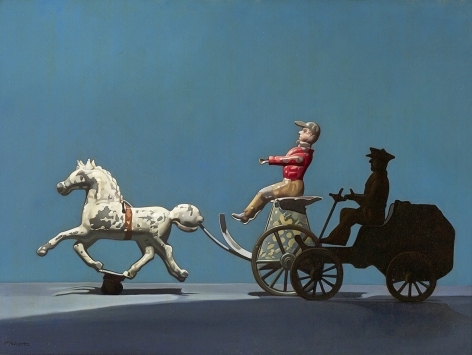 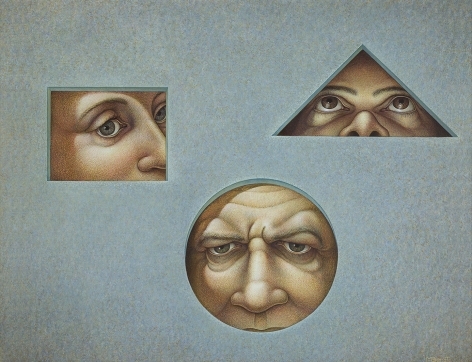 Debra Force Fine Art is pleased to present an exhibition exploring the artistic movements of Surrealism, Magic Realism and works by other twentieth-century American artists who took inspiration from these movements. 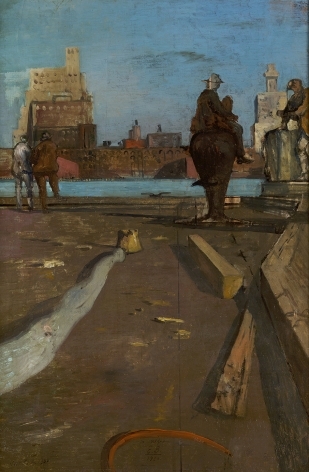 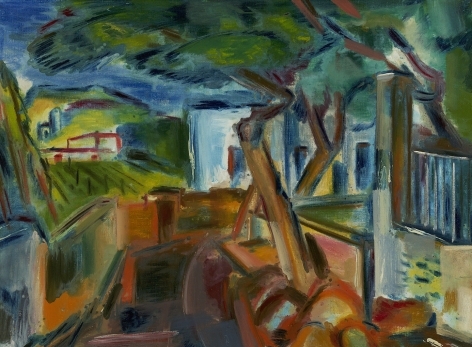 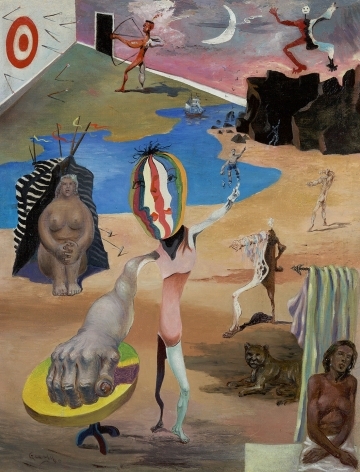 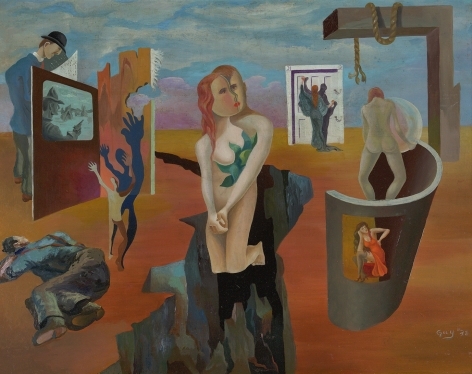 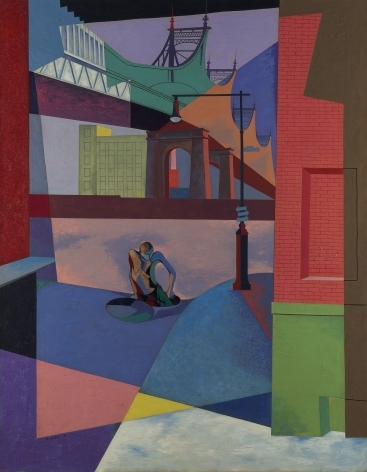 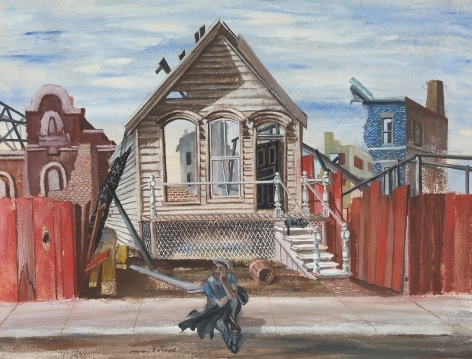 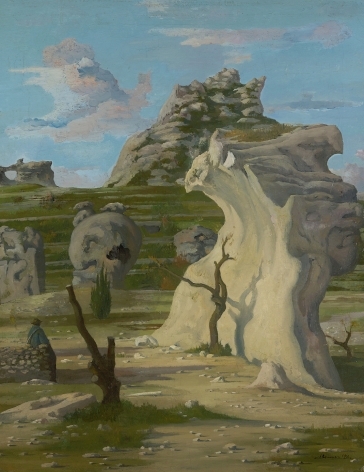 O. Louis Guglielmi creates a Surrealist scene incorporating exaggerated architectural elements and a bizarre figure emerging from the street, while Eugene Berman shows a solitary figure dwarfed by a landscape filled with ruins. 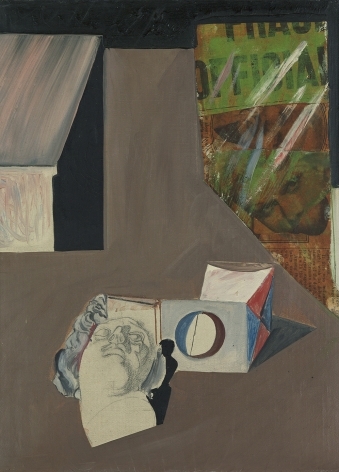 James Guy’s densely packed paintings explore social issues and isolation in the 1930s, while a work from the same period by Ethel Schwabacher draws on the artist’s interest in psychoanalysis to create a composition including images drawn from her unconscious. 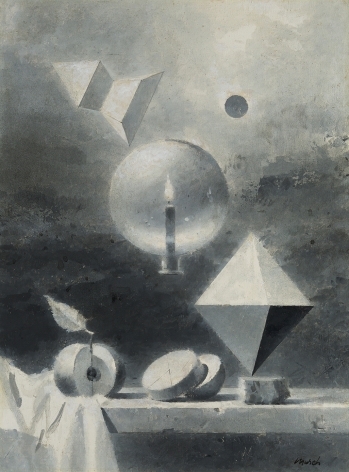 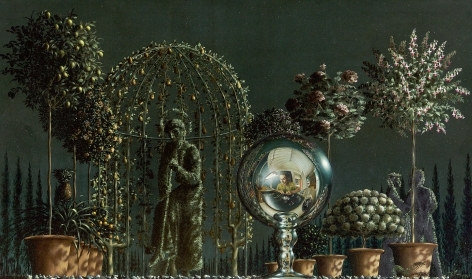 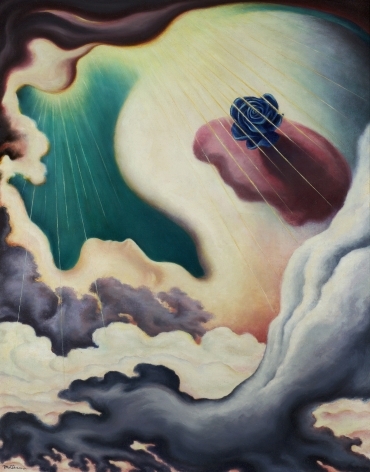 California artist John Mottram focusses on a blue rose floating in a dramatic sky, while Brian Connelly’s night garden scene includes the artist’s self-portrait in the reflection of a silver globe. 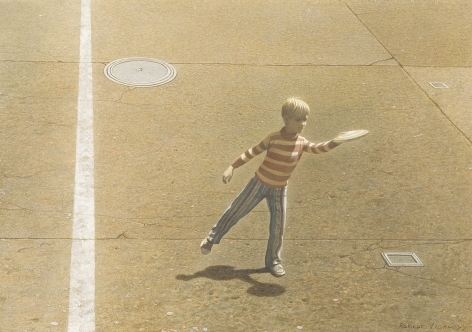 Magic Realist artists Paul Cadmus, George Tooker, and Robert Vickrey use figures as their dominate theme, incorporating a sense of alienation and mystery in egg tempera paintings common among artists of this genre. 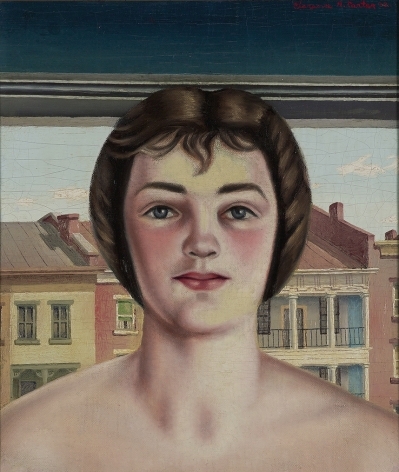 Cadmus’ dedication to the precise draftsmanship of the human form contrasts with the modeled forms and mask-like faces of those found in Tooker’s work. 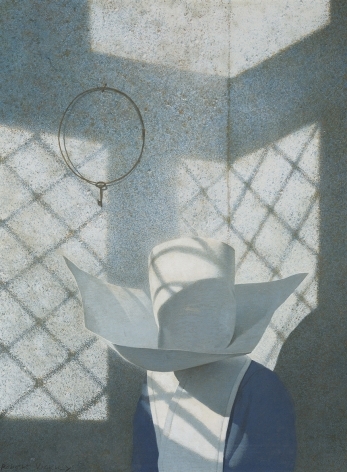 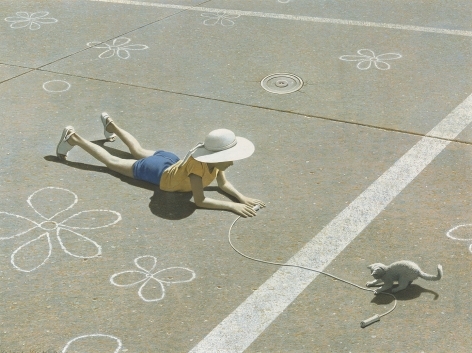 In Vickrey’s paintings a solitary figure, often a child or a nun, is shown against a barren wall or street filled with geometric patterns. 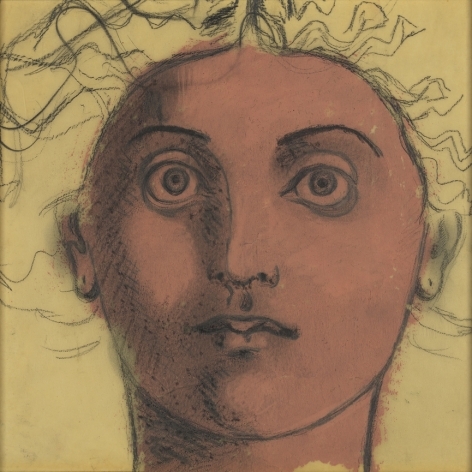 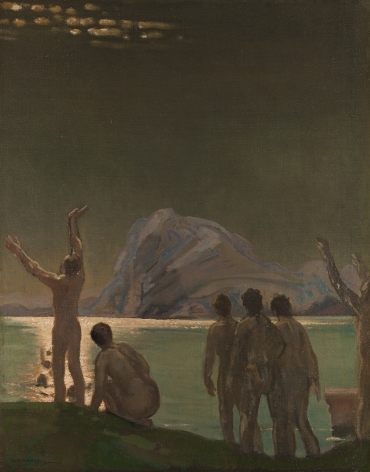 A young Michael Bergt greatly admired the work of Paul Cadmus and the two exhibited together at the Midtown Gallery in New York City. 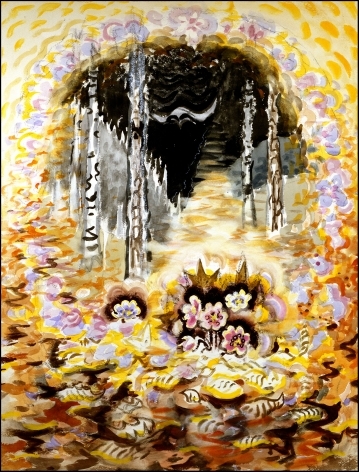 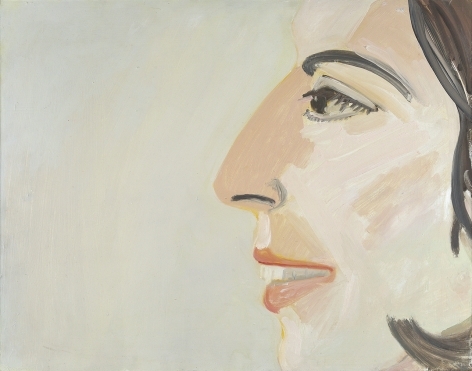 Other artists in the exhibition include Virginia Berresford, Aaron Bohrod, Charles Burchfield, Clarence Holbrook Carter, John D. Graham, Walter Murch, Priscilla Roberts, and John Wilde, among others.